Centrifugal water pump articles provides guidance and review about different types, qualities, durabilities, and prices. These pumps induce the flow of the water at a controlled rate or volume. The centrifugal water pump increases the pressure of water with the help of the rotational kinetic energy. They are commonly called as kinetic energy pumps. They convert the kinetic energy into hydrodynamic energy thereby enabling the flow of water. The rotational energy comes from the input power source such as the motor or the engine. The input power from the external source is converted into the rotational kinetic energy of the accelerating water by a revolving device called impeller. Centrifugal pumps are radial flow devices that can also raise the pressure of the flowing fluids. Centrifugal pump`s operation is the reverse of the centrifugal turbines. They are commonly used in turbo-machinery devices for pumping. Centrifugal water pump transfers the rotational energy from the input source to the energy of the water flowing. The impeller in the centrifugal water pump is powered by the external power source and is made to rotate. The impeller rotation causes a low pressure to be created across the inlet the impeller known as the eye of the impeller. Now due to low pressure, the water is sucked in through the eye of the impeller. Water enters axially through the eye of the casing and flows to the impeller blades, where it is circulated in the circumferential parts of the impeller and flows into the casing region. Water is collected in the casing and then pumped out via discharge nozzle. The water gets the energy from the impeller rotation when it exits the pump. The force pushing the water outside is called as centrifugal force. Now let us discuss some of the important terms used while describing the centrifugal water pumps as follows. Capacity - the amount of water to be moved or pushed by the pump to the desired point in the process. It is measured in either gallon per minute(GPM) or cubic meters per hour (m3/hr). Head - height up to which the kinetic energy can be imparted by the pump in the water column. Head is measured in terms of the length such as meter or feet. Frictional and other losses to be taken into account while determining head. Brake horsepower (BHP)- actual horsepower delivered to the pump shaft via external power sources such as motor, engines, etc. Net Positive Suction Head (NPSH)- The suction pressure at which the vaporization first occurs is noted and the head corresponding to this pressure is called as NPSH. This is calculated to avoid cavitation problems. 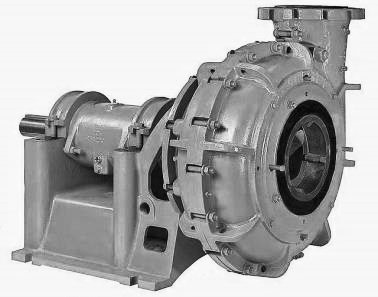 Centrifugal pumps are used in various applications from pumping the domestic water supply, boosting the power supply, Cooling and heating applications, fire protecting systems, etc. They are popular in the beverage, dairy, food and light chemical industries. To pump water supply- Centrifugal pumps are used for pumping the domestic water supply to our overhead tank and pneumatic power systems. Centrifugal pumps are used in water supply systems where no suction lift is required. Booster service- Centrifugal pumps are used to boost the pressure in the water in multi-stage operations. They are automatically controlled and continuous in operation. Pumping domestic water supply- They can be in wells with suction head less than 25 feet. For deep wells, they can be used with pneumatic or electric high powered motors. In fire protection system - Fire pumps are operated by either single stage or multi-stage pumps. Mostly steam, gasoline or electricity acts as the power source. The power supply must be continuous for uninterrupted operation. Hot water circulating service- Hot water circulating pumps are centrifugal. They move water in a closed system and thus operate only in the low head conditions, but the static pressure in the systems must be high. Sump drainage- Sump pumps can be used in wastewater applications for our households. They are mostly centrifugal type pumps and are used to pump out the sewage water or drain the sump water collected across it. Centrifugal water pumps are manufactured for the both domestic and industrial purposes and the prime manufacturers of the centrifugal pumps are Asia Automatic Pump Co., Ltd., Walrus America, Inc., Roth pump company, Met-Pro Global Pump Solutions, SCC pumps Inc., etc. Their prices vary from domestic to industrial applications depending upon their power, size, operation parameters ranging from as low as 150$ to about 2000 $. Pumps used in industrial applications may cost even higher.